Rain Date Mon, Sep 3, special event at Peifers – all are welcome! RAIN DATE: Due to the storms expected today, Sunday, we are postponing the event to Monday, Sep 3rd. Please leave a comment below to let us know if you still plan to come Monday! Check here on the website and Facebook tomorrow, Monday, at noon for any cancellation due to weather. 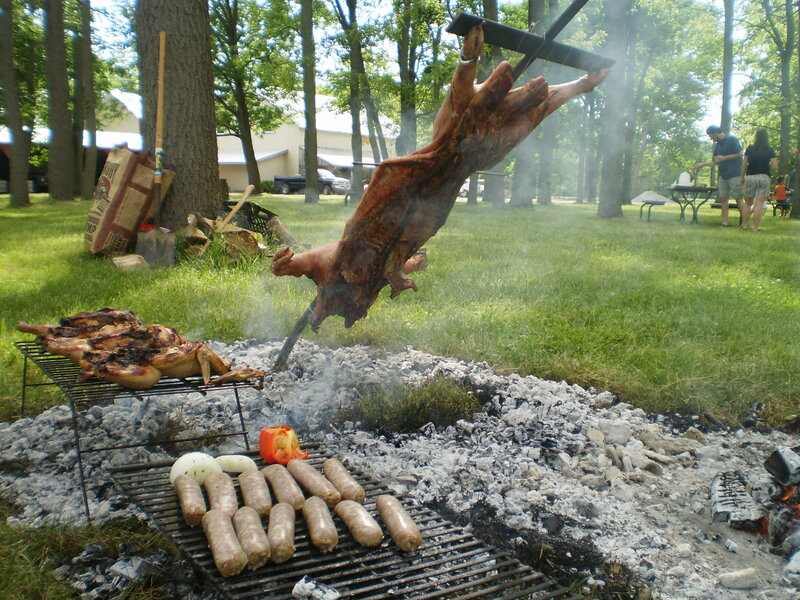 La Pampa will host a special event for Sunday, September 2nd of Labor Day weekend—a whole pig roast, chickens, and possibly lamb, dinner at Peifer Orchards for the whole family. Join us in the early evening (5pm-7pm) at Peifer’s located on State Rte. 68 between downtown Yellow Springs and Youngs (across from the sunflowers!). La Pampa will provide the food, grilled Argentine style “al asador,” and asks for a $12 donation per adult (kids free). We encourage people to bring drinks and a blanket to sit on. Please rsvp in the comment section below to let us know if you’ll be joining us, and spread the word! In addition, La Pampa will be grilling local (Anderson Farm) sausage sandwiches, corn-on-the-cobb, and chicken specials on Saturday and Sunday, Sep 1 & 2, from noon to 5pm. 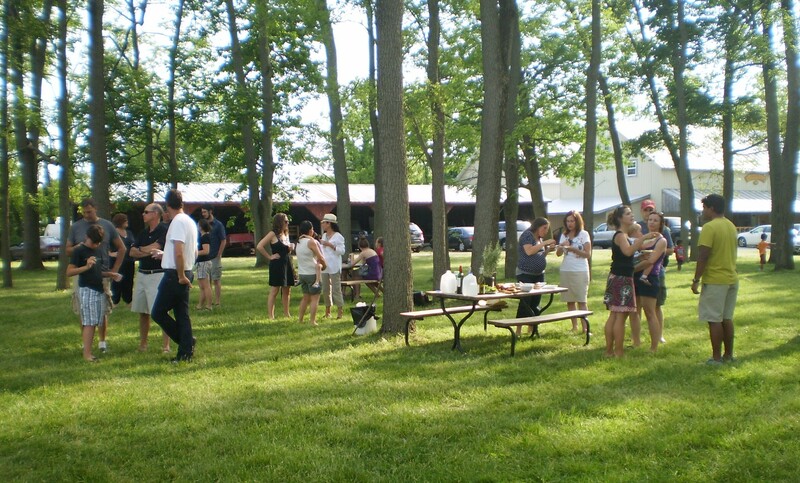 La Pampa will NOT be at Peifer’s this Friday, August, 31st, instead will be grilling for a private party offsite. Thanks for the outpouring of ongoing support! We had a great time at the Clifton Gorge Music & Arts Festival! We’ll be there unless there’s an unexpected downpour. i plan on being there. thank you!